​Did you know that dogs have dichromatic vision? This means they see in two colours – primarily blue and yellow and shades thereof. 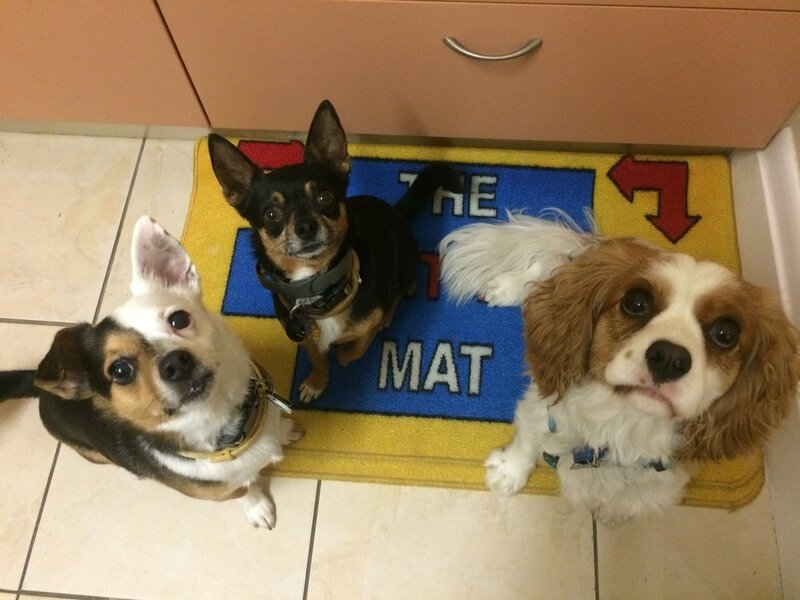 It is wise to consider this when choosing a mat or toys for your dog. This image shows the picture as we see it on the left, and how our pups see it on the right. I always look for blue and yellow in toys and mats to make life easier for the pups. You can use the website www.vischeck.com as a colour blind simulator to have a rough idea of what your pooch sees. 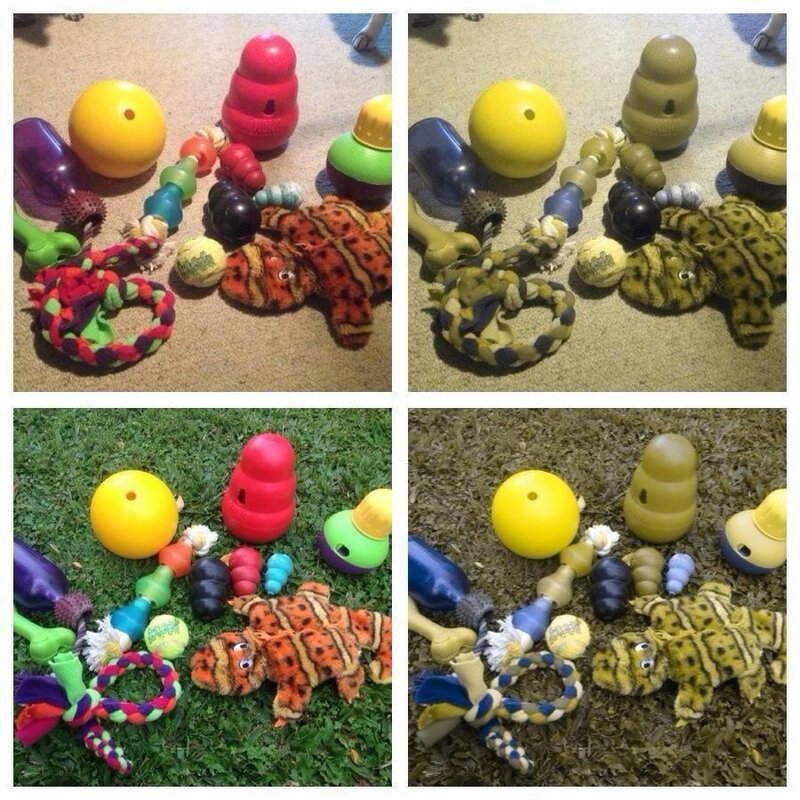 In this pic below, the toys on the left are what we see, and those on the right are how our dogs might see them. Blue KONG toys are 25% stronger than the other KONG toys normally found in pet shops. They can withstand pressure in excess of 3800 psi, and be stretched up to 9 times their original length whilst still being highly puncture resistant. KONG toys are made from non-toxic, non-abrasive and non-splintering natural rubber. But the BEST part about Blue KONG toys is they are radiopaque. This means should your dog be able to swallow a piece of this toy, it will clearly show up on X-ray. 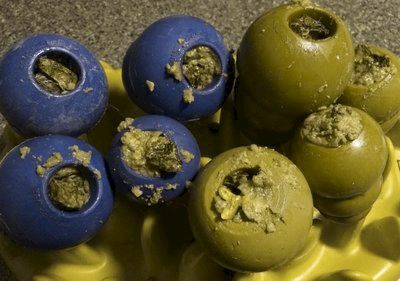 Most other rubber toys won’t do this.